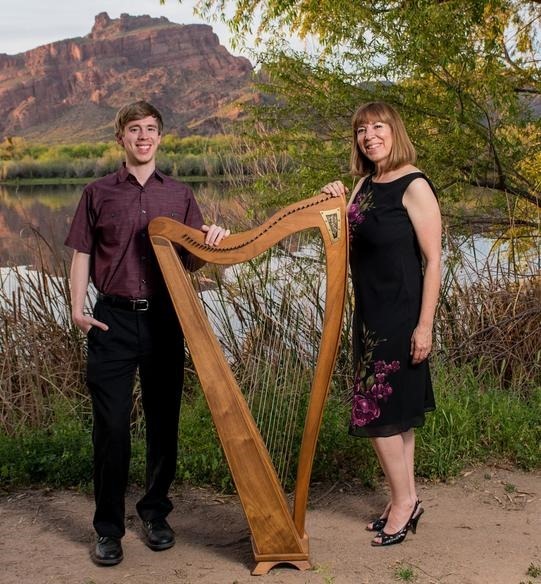 Submitted Photo Karin Gunderson and her son Ryan perform as Heavenly Harp. Ryan began playing by ear in first grade and was soon creating compositions for the adult choir at his family’s church. The program will combine Gunderson’s true stories from her work as a hospice harpist, with peaceful music featuring harp, piano with flute, and vocals on old-favorite Christian hymns, according to a press release. There will be two opportunities to attend this concert: Saturday, July 21, at 5 p.m. at Minot Bread of Life Lutheran Church, 1415 7th Avenue SW; and Sunday, July 22, at 9 a.m. at Minot Bethany Lutheran Church, 215 3rd Ave SE. There is no admission cost. CDs and DVDs will be available.